Death is a topic that is often avoided and feared. It is a mystery, yet it is a universal experience. As a child I did not think about it at all until my grandmother died when I was 13 years old. I loved my maternal grandparents! They lived in a small town in Michigan 100 miles away, but we visited them often, spent holidays at their wonderful house, and in their care we always felt safe and loved. My siblings and I loved venturing on foot down the hill and into the town, into the bakery, over to visit with our Aunt Maude, and on hikes along the railroad tracks. On the day that mom got the news that Grandma Anne had suffered another heart attack, my mother was very distraught. Neighbors came over to help with the five of us, and my dad drove mom to Jonesville as quickly as they could go. But it was too late. My mother eventually told me that she was so afraid she would not make it in time to say good-bye. Half way there, she suddenly felt peace and calm, and “just knew” that her mother had died. She checked the time, and later found the death was at the time she felt that “hug of love”! Oh the mysteries we experience! After the funeral, life tried to return to normal… but I often had the feeling that my grandmother was with me! My thirteen-year-old self didn’t know how to deal with those feelings…it just couldn’t be, could it? But the feelings were so real… Now I know it was real! My Grandmother, in spirit, was with me. Fast forward to June of 1996. On a beautiful day, my husband and I were out on a walk in the prairie of Wisconsin celebrating our wedding anniversary. There was no sense of death. But within hours we learned that our very-much-loved daughter Anne had died at the age of 19, almost 20. The whole story is in The Light Gap: God’s Amazing Presence, the book that my sister Terry and I wrote about the MANY,VERY INTERESTING experiences we had connected to death. So… after almost 23 years of searching for answers, what do I KNOW about death? A LOT! Life Never Ends… I now KNOW and it takes away the fear of death, allowing me to live freely. Wow. That is a mind-full. I now KNOW, not just believe, that there is an “other side,” and that we live more than once. You ask, “How can you know?” It is a part of the way we are made via the soul. Before Anne’s death, I was unbalanced, thinking just from the human side. I am now more balanced. We need both mind and soul thinking. Often I think of the question – What would my soul or heart say? Then I figure out my ACTION from that vantage point. You stumble. You begin to give up control to the “Real Guide – God.” You discover It IS REAL! We learn that life can be tragic, but the tragedy can help you learn to listen with your heart, find your treasure within, and growth begins because you cannot do it by yourself. This is the turn around that brings new life. Losing a loved one to death HURTS… there is no way around it! We are sad; grief is a natural emotion. I experienced my heart literally hurting. I wanted to sit down and QUIT. But something inside me would not let me do that. Elisabeth Kubler-Ross’ words helped me understand; she was one of the pioneer researchers to identify how important the grieving process is. We need to allow ourselves time to be sad. We need to shed tears when they come. I learned that grief is a tool to keep us healthy. Feel your grief fully. Take the time you need to reorganize your new reality. The best way to get rid of grief is to express it! Only you will know when you have grieved ‘long enough’ because you will stop grieving. Elisabeth would say, “The only way around is through. Coincidences kept happening as I began ‘my new life’ without Anne. But is that really a true statement? Not really! Anne has been with me all along this journey. She wants all of us to feel the joy that she feels on the Other Side. When we were in London England where she died, I was handed her ashes and they were warm! I thought, why would the funeral home do that… They didn’t! I now know it was Anne’s energy with me. It was a hug of love. The last day when all of the official business was over, our family went walking in the Cotswold area. We came upon a flock of sheep all lying down near the path. They did not move but stayed there peacefully. We came upon a stream with a swan and her eight baby cygnets. When we got home a week later, I was on the phone making arrangements for her memorial service. Anne’s clarinet teacher was going to play at the service and she told us she would play The Sheep May Safely Graze by J.S. Bach and The Carnival of the Animal – The Swan by Camille Saint-Saens! It told us what we did the day after Anne was cremated. In that same conversation I found myself in nothing but LIGHT – no frame of reference, no sense of my body, with a voiceless voice communicating. I was crying my way through the days, and instantly I felt indescribable peace, joy, and love! 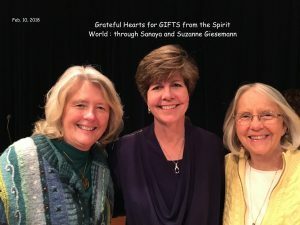 Just in June of 2017, Terry and I met a medium named Susanne Giesemann at a conference she was presenting. I signed up for a reading with her. She knew nothing about Anne…but she was hearing Anne’s voice. The evidence she produced as Anne was talking to her was very accurate. tThey were things she could never have known but I could recognize. Anne said through Susanne Giesemann, “I sent that LIGHT to you. I wanted you to know what I am experiencing.” Coincidence? I think NOT! I am working on having this kind of faith! I do believe in the perfection of God’s creation, that God is communicating, and somehow the universe coordinates coincidences. The words – every condition and circumstance has a purpose – but from a human perspective it is hard to believe the “every” part. I have to work from my heart instead of my head. I am getting there…I have to trust that it involves something I cannot understand yet or do not know yet. Knowing that Anne lives on helped me heal! 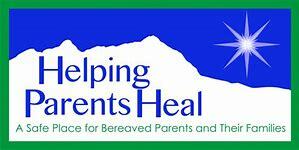 Recently, I heard about an organization called Helping Parents Heal. The leaders of this organization have lost children, and in the process of healing, realized that they can communicate with their children in the ‘everlife.’ They are offering their second Helping Parents Heal Conference in Charleston , SC April 16-19, 2020. I plan to attend! ← Can we FLIP our Bodily HOUSE? You have shared beautiful LIGHT with us. Your peace and gentleness and love shine out. 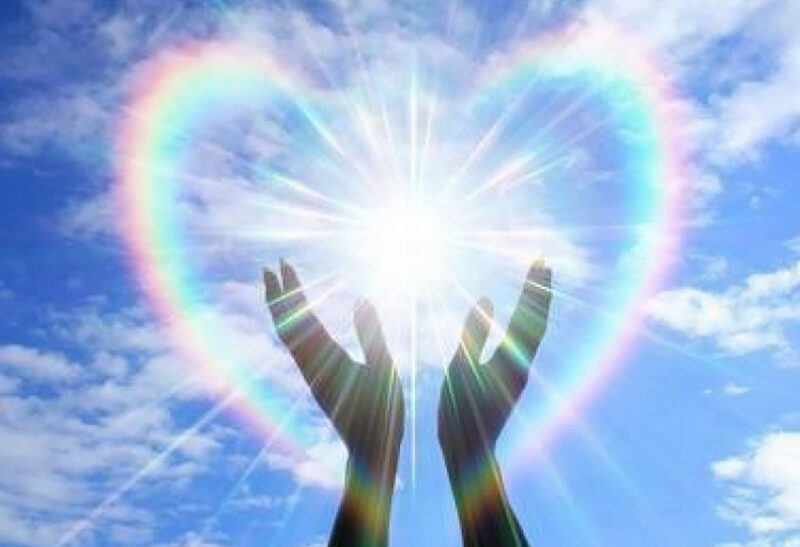 This is a beautiful sharing of your heart. Thank you.